Even if Bob Dylan’s painting hadn’t improved very much by the time of his second museum show, the quality of the catalogues produced about him had gotten a whole lot better. Based on the success of his Drawn Blank show in Chemnitz, Germany, the curators of the Statens Museum for Kunst in Copenhagen approached Dylan about staging a second show. 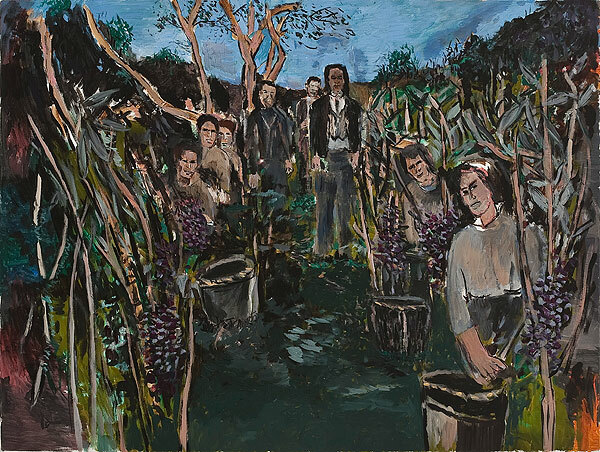 Learning that he had moved on from the watercolours of the Drawn Blank series, an arrangement was struck for Dylan to produce new acrylic works on canvas. 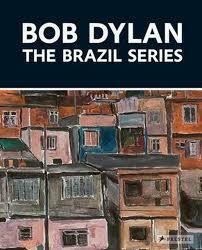 Over the course of about eighteen months in 2009 and 2010, while not touring, Dylan painted fifty new paintings in the Brazil Series, and forty of these were shown in Copenhagen. While I don’t think that these are really good works, they do seem, for the most part and on average, to be superior to the watercolours. The watercolours, transferred from earlier sketches, have a rushed quality that is not appealing. The acrylics seem to be better considered, if somewhat repetitious in terms of their tones and approaches. Unlike the watercolours, there are strong narrative components to the works here. One of the catalogue essays compares Dylan to Caravaggio and Rembrandt – not in terms of painterly skill, but in the adoption of a certain narrative sensibility deriving from gesture. Dylan’s truer heirs are probably found in the art brut tradition, or a kind of sketchy modernism. He does not demonstrate great facility with his brushwork, although the sketches that are presented here are much tighter and more accomplished than were the ones in Drawn Blank. Generally, Dylan comes across here as an amateur painter of no particular renown. In the Preface to the catalogue, museum director Karsten Ohrt writes: “At the time [of the Drawn Blank exhibition], Bob Dylan was best known for other aspects of his creative endeavours”. You don’t say. Despite that clanger, the essays in the catalogue (there are three) are actually quite good. They do their best to make a legitimate case for Dylan as a painter by paying close attention to the paintings themselves. The final essay, by Kasper Monrad, is strongest in this regard – I found that even when I strongly disagreed with his assessment of a painting that I at least felt that it was a fair reading, and not one that was being advanced in a cynical manner. I have some doubts about any museum that commissions an exhibition of brand new paintings by a rock star – it reeks of desperation – but having done so, I think that the essays here treat the work legitimately in a way that the catalogue for Drawn Blank did not. 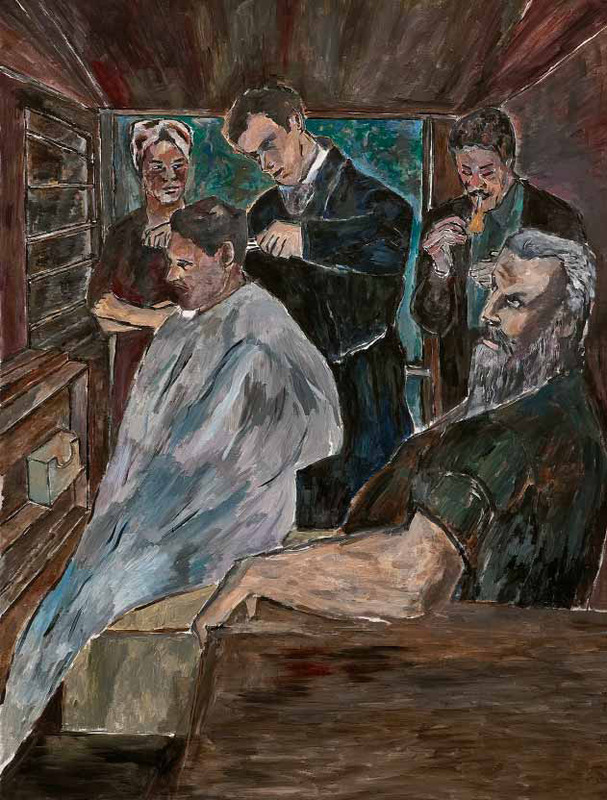 The hype and mystification is kept to a minimum at least, and the comparisons are apt (Monrad puts Dylan in a line with Thomas Hart Benton and George Bellows (“a particularly American figurative tradition”; the connection to story-telling, and thus to song-writing, seems pertinent). So, a much better catalogue this time around, although I still don’t much care for the images. Indeed, I flipped through the pictures rather quickly – nothing leaps out to me and demands close scrutiny, and the muted colour palette here dulled my senses quickly. A better effort, but not yet a good one. Here is an 18 minute video featuring some Danes discussing these paintings. I can’t vouch for it, I bailed on it after only a couple of minutes. It has some footage of Dylan painting or drawing (probably from the 1980s based on the earring). It was produced by the museum.